This leads us to some important questions: What exactly is ‘global health’? And how does this differ from ‘international health’ and ‘public health’? Global health is a term that subsumes both international and public health, and reflects a maturation of the field. Global health places a priority on improving health and achieving health equity for all people worldwide and transcends national borders, class, race, ethnicity, and cultural divisions. (5) There is an emphasis on the concept of a ‘global commons,’ which is based on the belief that the health of all people is connected and interdependent. Another important term to understand is that of ‘health equity.’ The WHO defines health equity as the absence of systematic disparities in health (or social determinants of health) between different groups of people, whether those groups are defined socially, economically, demographically, or geographically. (6) Inequities in health place socially disadvantaged people (poor or marginalized individuals, racial/ethnic/religious minorities, and women) at further disadvantage and reinforce unequal power structures. Equity is an ethical principle and is closely related to human rights principles. Achieving health equity is an important principle of global health and operationally the goal is to achieve the highest attainable standard of health for all individuals. 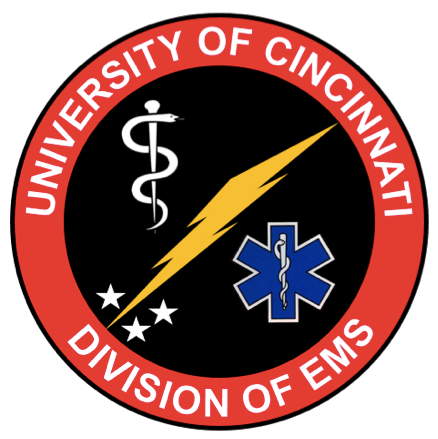 With these concepts in mind, we have embarked on developing a Global Health program at University of Cincinnati’s Department of Emergency Medicine. This has been an active year and it began with the creation of a Global Health Discussion Group with expert led topics such as tuberculosis, collective violence, critical care medicine in resource-limited settings, and EMS development abroad. Multiple residents and faculty have undertaken projects abroad (Tanzania, Ghana, Uganda, Haiti, Guatemala) this year. Over the next few years we will be actively working to establish partnerships and collaborations that can serve as active rotation sites for residents and faculty wishing to participate in global health electives. Finally, we have also achieved representation on the Global Health Advisory Council for UC’s College of Medicine. The next year promises to be just as exciting as we integrate global health lectures into Grand Rounds, provide longitudinal learning via TamingtheSRU, expand our Discussion group, and develop clinical sites for GHEs. Thompson MJ, Huntington MK, Hunt DD, Pinsky LE, Brodie JJ. Educational Effects of International Health Electives on U.S. and Canadian Medical Students and Residents: A Literature Review. Academic Medicine. 2003; 78(3):342-7. Drain PK, Primack A, Hunt DD, et al. Global Health in Medical Education: A Call for More Training and Opportunities. Academic Medicine. 2007; 82(3):226-230. Institute of Medicine. The US commitment to global health: recommendations for the new administration. Washington, DC: Institute of Medicine, Dec 15, 2008. http://www.iom.edu/CMS/3783/51303/60714.aspx (accessed Feb 19, 2009). Brown TM, Cueto M, Fee E. The World Health Organization and the transition from international” to “global” public health. Am J Public Health 2006; 96: 62–72. Koplan JP, Bond TC, Merson MH, Reddy KS, Rodriguez MH, Sewankambo NK, et al. Towards a common definition of global health. Lancet 2009; 373: 19935. Dr. Selvam is a PGY-3 resident at the University of Cincinnati Emergency Medicine residency training program. He has a long standing and developing interest in international medicine and has made several trips to Haiti and Ghana.